Check out our new line of kitchen tools! Our ice cream scoop is FDA approved and dishwasher safe. Great for your local ice cream shop, restaurant, bakery or cooking school. Available in white (S21131X), blue (S21196X), green (S21198X), and orange (S21197X). All-In-One Measuring Set made out of plastic. 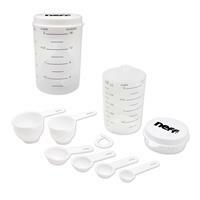 Comes with 6 measuring spoons stored inside a measuring pitcher with lid. 16 oz pitcher has cups, ounces, and liter markings. Rotating lid has pouring and straining functions. Item Size: 5 1/8" x 3 3/8" x 3 11/16"; 16 oz. 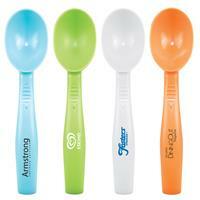 Spoon Set Includes: 1/2 tsp., 1 tsp., 1/2 Tbs., 1 Tbs., 1/4 c., and 1/3 c. Not for use with hot ingredients. Imprint available on lid or on one side of cup. Pricing include one color and one location imprint only. 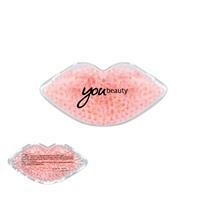 Specify imprint location on your order. This ice cream cup is a fantastic promotion for ice cream companies, bakeries, pastry shops, ice cream parlors, summer camps, community events and more! 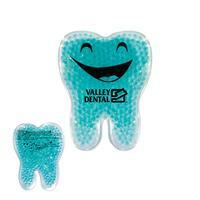 Place your logo on the front and sweeten your brand, today! Available in green (S71068X), orange (S71067X), blue (S71066X) and brown (S71069X). For more exposure, see our coordinating ice cream spoon (FOD3). This ice cream spoon is a fantastic promotion for ice cream companies, bakeries, pastry shops, ice cream parlors, summer camps, community events and more! 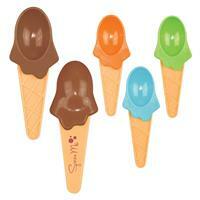 Place your logo on the handle and sweeten your brand, today! Available in green (S71076X), orange (S71075X), blue (S71074X) and brown (S71077X). 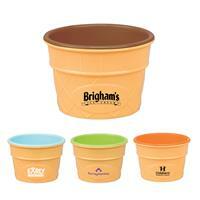 For more exposure, see our coordinating ice cream cup (FOD2). Check out our new line of kitchen tools! 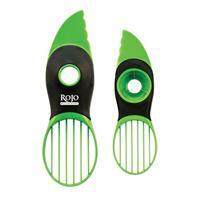 Our astute 3-in-1 Avocado Slicer splits, pits and slices avocados safelly and effectively. A great promotion for culinary schools, cooking classes, restaurants, food channels and more! Top rack dishwasher safe. Comes in retail packaging. BPA free. Our solution to the Avocado injury epidemic! The Gel is the doctor-designed, drug-free way to relieve pain and inflammation. Gel bead packs use innovative technology that absorbs and delivers heat & cold for the doctor recommended 20 minutes of highly effective therapy. Their dual action provides twice the therapeutic benefit in a single pack: start with ice to reduce swelling and bruising, then switch to heat for penetrating pain relief. Whether chilled or heated, gel bead conveniently holds its temperature for the doctor recommended time and conforms to your body to deliver the perfect relief from your aches and pains. Place the product in refrigerator for 1 hour, or place in freezer for shorter cooling time. 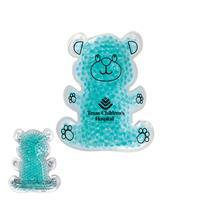 Make sure the pack is laid on flat surface to ensure beads are arranged evenly. Apply directly to affected area. Wrap the pack in moist paper towel. Place pack in microwave at intervals of 7 seconds, and no more than 30 seconds. Apply the pack directly to affected area. Use hot to relieve face of toxins that contribute to dark circles and tired looking, worn out skin. 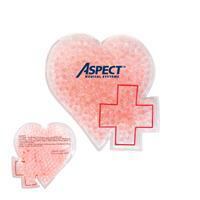 Should not be placed on sensitive skin or open wounds. One color / location imprint only. Check out our new line of kitchen tools! 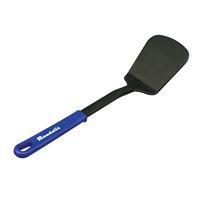 Our plastic spatula dishwasher safe/heat resistant up to 392 degrees. Great for cooking schools, restaurants, events and more. Check out our new line of kitchen tools! Our pasta ladles are dishwasher safe/heat resistant up to 392 degrees. Great for cooking schools, restaurants, events and more. Check out our new line of kitchen tools! Our slotted spoons are dishwasher safe/heat resistant up to 392 degrees. Great for cooking schools, restaurants, events and more.